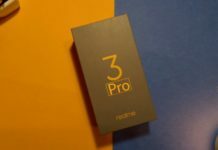 The price set for Redmi Note 6 Pro on AliExpress is between $193.99 to $218.99. This means the Indian price could be somewhere between Rs 14100 to Rs 15900 approximately. 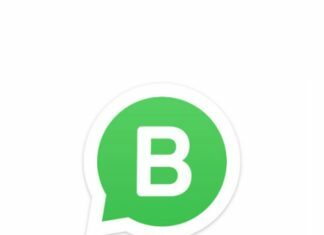 The phone is available currently for global markets like the US and UK. The estimated delivery time is 60days. Sadly it is not available for India on the AliExpress website. The colour options available are Black, Blue, Rose Gold, and Red. Xiaomi’s Redmi Note 6 Pro includes a 6.28 inches full HD+ Display with the resolution of 1080×2160 pixels. It is a 19:9 aspect ratio display panel while the said resolution suggests it to be an 18:9 panel. There is an iPhone X like-notch on top of the display, No waterdrop notch. It has MIUI 9 running inside along with Android Oreo. The Redmi Note 6 Pro is powered by Qualcomm Snapdragon 660 Processor along with 4Gb of Ram and 32GB inbuilt storage. The phone has 4000 mah battery capacity giving almost 2 days of battery life. Coming to the camera part, it has the Dual camera set up in the front and back as well. At the rear, the primary camera is of 12 Megapixels along with a 5 Megapixel secondary camera. On the front as well, the Redmi Note 6 Pro has dual cameras with the primary camera of 20 Megapixels and a 2 Megapixel depth sensor. Rear camera includes LED flash too. The Redmi Note 6 Pro has a fingerprint sensor in the back placed after cameras. There is dual sim support with 4G, LTE, Wi-Fi, Bluetooth, MicroUSB etc. 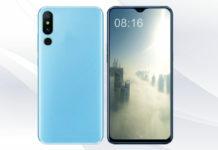 this is the phone listed as the Global variant of Redmi Note 6 Pro on Aliexpress by a seller. 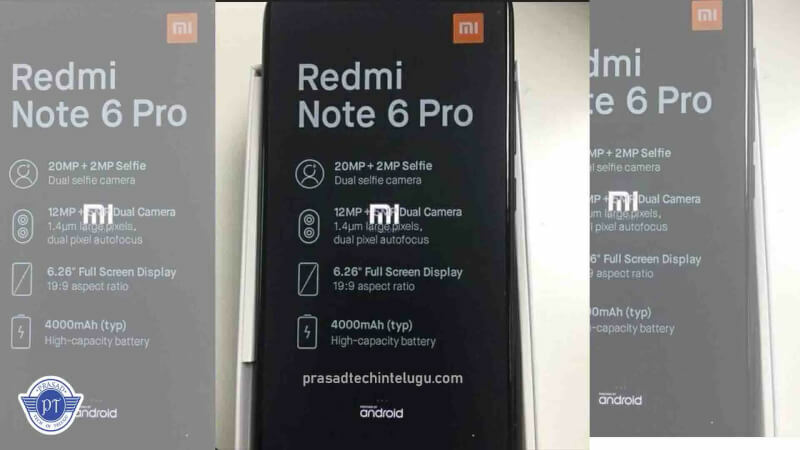 Xiaomi did not say anything about this, meaning this could be the actual Redmi Note 6 Pro. But the question is there are a few problems like 3GB Ram. The previous generation of Redmi Note series had 4GB Ram as its base variant. We can say Xiaomi is planning to introduce the lower variant as well with the successor. So might be that we can see 3GB, 4GB, and 6GB too as the predecessor. There is the Snapdragon 660 Soc mentioned on the phone. And, one more problem with the display of 19:9 aspect ratio with the resolution of 1080×2160 pixels. 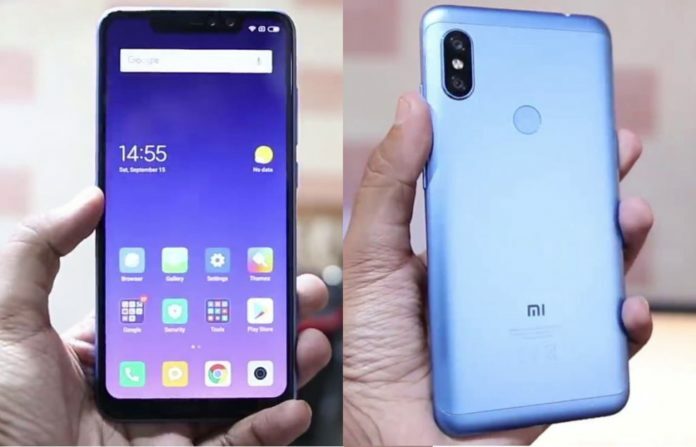 Whether it is the actual Redmi Note 6 Pro or not, but it has somehow introduced us t=with the next generation of Xiaomi’s most selling phone. 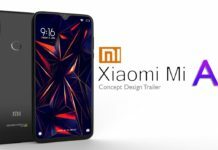 Xiaomi is yet to announce the phone but this gives some hype for the phone. What do you feel about this Redmi Note 6 Pro?